Middleweight-prospects-turned-welterweight-contenders Martin Kampmann (15-2 MMA, 6-1 UFC) and Mike Swick (14-2 MMA, 9-1 UFC) have finalized bout agreements for a contest that will have an immediate impact on the UFC's 170-pound division. MMAjunkie.com (www.mmajunkie.com) has learned from sources close to the event that both fighters have agreed to meet at the as-yet-unannounced UFC 103 event in Dallas, expected to take place Sept. 19. Additional sources familiar with the bout have indicated the organization may be utilizing the contest to determine who will meet the reigning welterweight titleholder following the UFC 100 title fight between current champ Georges St. Pierre and challenger Thiago Alves. 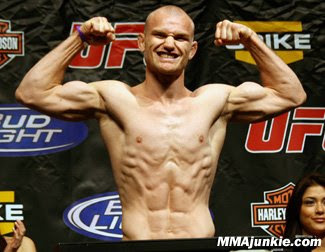 Kampmann is 2-0 at 170 pounds after making the switch from middleweight following a September 2008 loss to Nate Marquardt. The Xtreme Couture fighter earned a split-decision over former WEC champion Carlos Condit in a rousing contest in the main event of UFC Fight Night 18 in April. That result followed a January TKO win over Alexandre Barros in Kampmann's first fight at welterweight.